This pillow is excellent quality. The colors are muted gray blue and beige. The fabric has a nice linen quality! Bring timeless design into today's modern day with the Hollis Pillow. 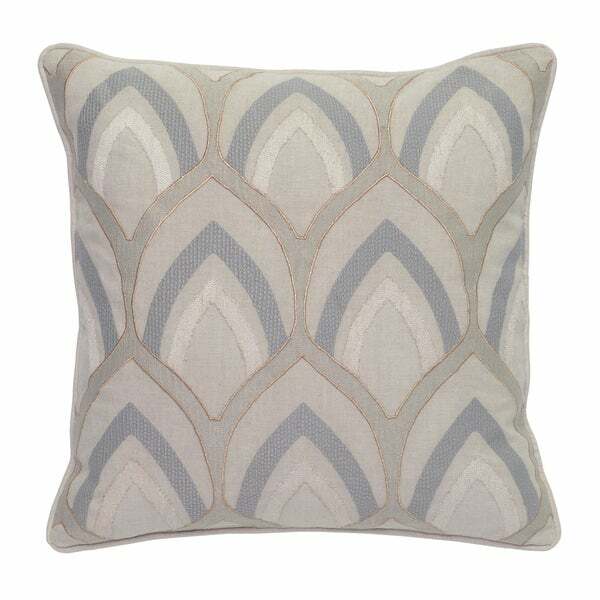 Inspired by the Victorian era's romance, this pillow is embroidered with metallic detailing in a geometric pattern and will add rich texture and dimension into any space. The pillow's intricate detailing highlights its handcrafted artistry and is matched by the plushness of the pillow's luxury fill.